If these buggers aren’t digging up your flower bulbs, they’re trying to set up housekeeping in your attic! Keep them out of sight and trouble with Messinas Squirrel Stopper repellent. A few squirts will let them know they need to move along, far away from your plants and buildings. 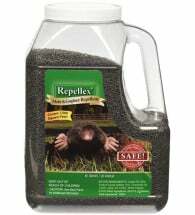 Safe around animals, birds and birdseed. 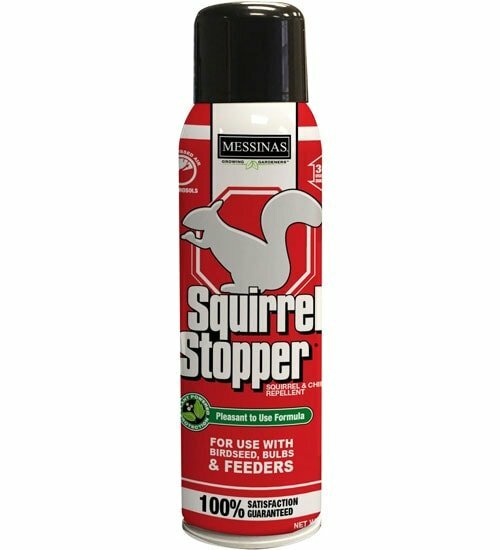 • Great for bird feeders! 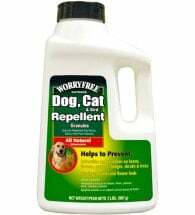 Available in a ready-to-use 15-oz spray can (covers 750 square feet). Spray a fine mist to dens, tunnels, entries and plants that need protection, making sure all parts are covered. When using near edible crops, apply a perimeter application. Repeat applications as needed, usually every 30 days. Apply on decks, sheds and bird feeders to keep these diggers and destroyers away! 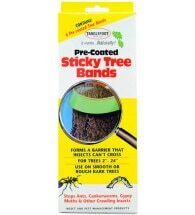 Pre-coated sticky bands protect against creepy crawlies 24 hours per day. The scent, taste and feel of this formula keeps these visitors (and your screaming!) away. 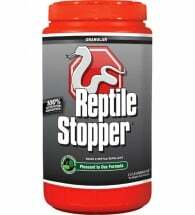 Use to prevent defecation and urination on lawns, gardens, shrubs and trees.